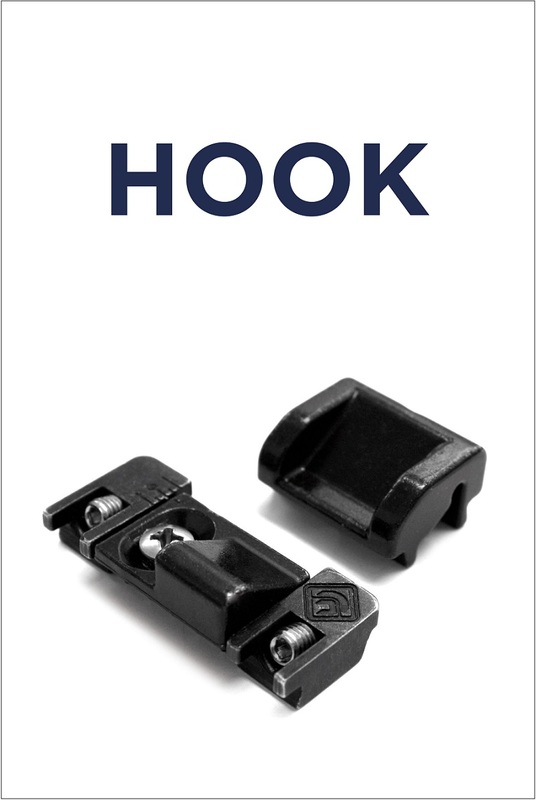 HOOK is definitely one of them, the additional closing point usable on all popular types of profiles, which ensures proper alignment between the uprights, improved performance of air permeability, enhanced water tightness and greater resistance to wind of the frames. The accessory consists of a retainer equipped with an adjustable slider, to be fixed to the frame with two dowels, and a fixed keeperto be installed on the leaf by means of a middle dowel. Pressure can be adjusted (± 2.5 mm) operating a regular screwdriver onto the retainer fixed to the frame. 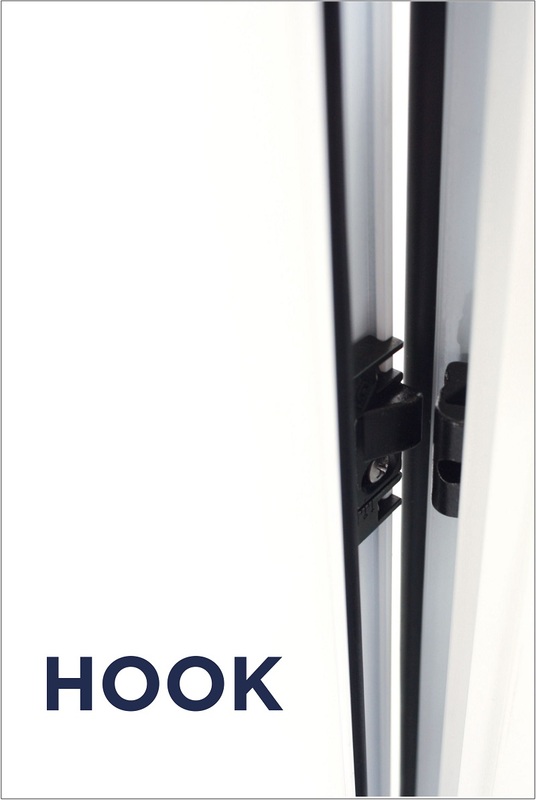 HOOK can also be applied to the already installed frame due to its quick fastening system. 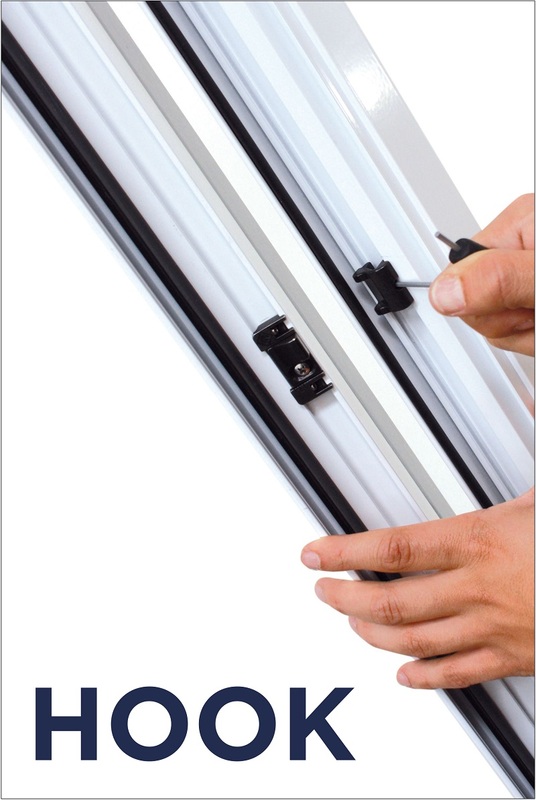 It also boasts an aesthetic advantage because it features a virtually invisible closing point, allowing, in many cases, to avoid using the third middle hinge. 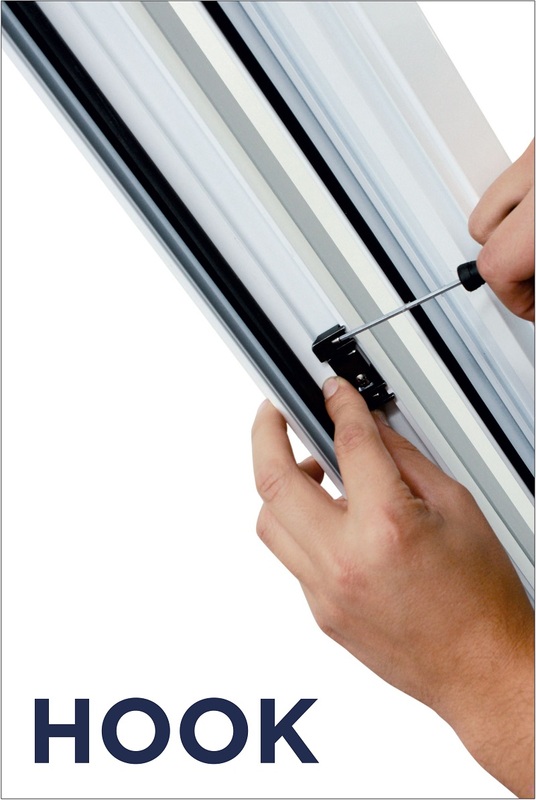 Made completely of zamak, with stainless steel screws and dowels, the closing point easily solves the most common problems encountered by the end user or the professional installer, in a smart way, using the anti-lifting system. 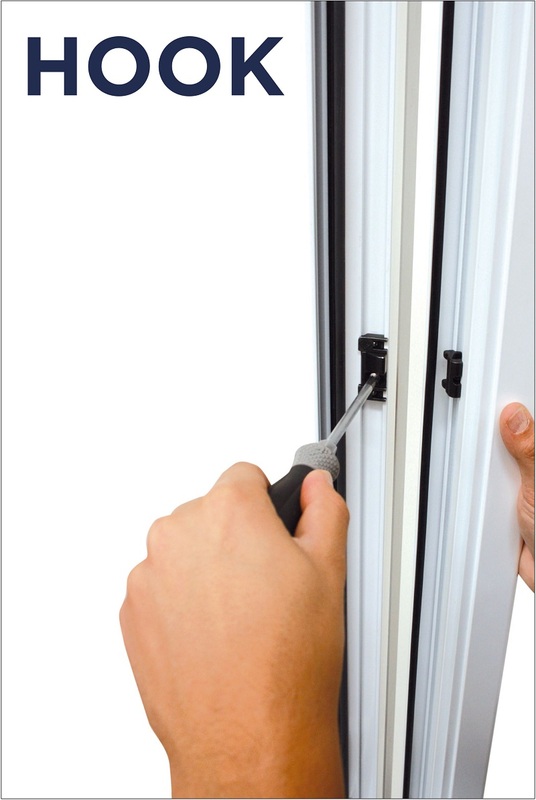 In fact, the presence of upper and lower extensions allows the retainer on the frame side to prevent the leaf from lifting and sliding out in the closed position, thus increasing the anti-burglary resistance.